Two new faces join the team! 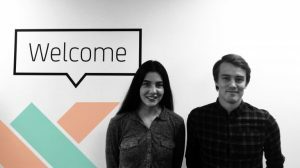 A big welcome to Lucas Way our new Programmer and Tia Bernstein our new Projects Administrator who joined the Twisted Team in our HQ office this week. Great to have you both on board! !